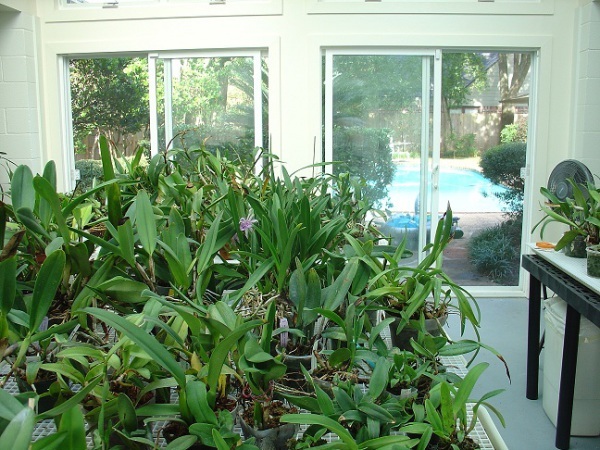 This Houston, Texas passive solar heated and cooled greenhouse was designed to house a special collection of orchids that were raised in the Owner’s previous New Jersey location before moving to Houston. 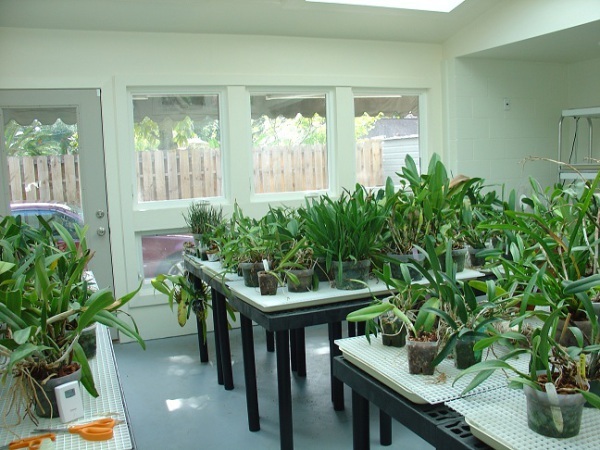 This former two car carport was converted to a game room by the previous owners before becoming the home for cultivating orchids. 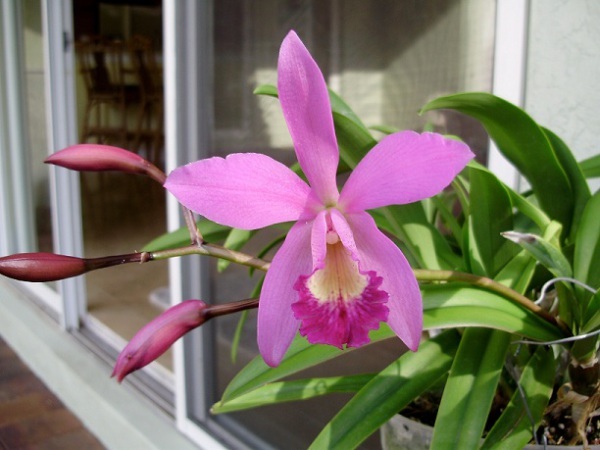 There was no need to modify the footprint of the home but rather incorporate the greenhouse into an existing space and create a beneficial area for these orchids to thrive. The photos illustrate three unique hybrids created by the owner named after family members. 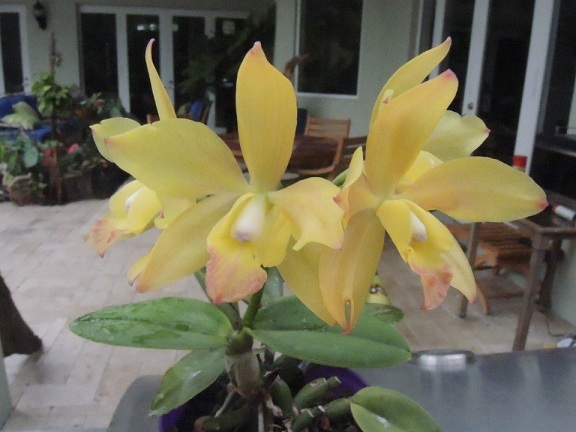 Included are the Hawaiin Variable x C. cernua (yellow orchid), C. Marcello Miranda x Bct. Little Mermaid (lavender orchid), and the B. 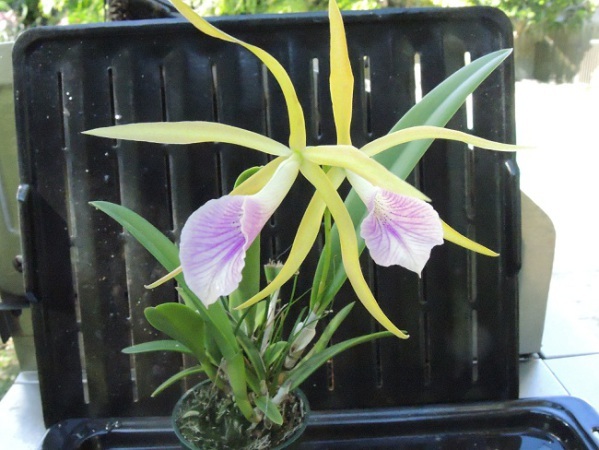 Little Stars x C. grandsir (yellow and lavender orchid).